Love the little girl with doggie and kitty, too, thanks for the download! 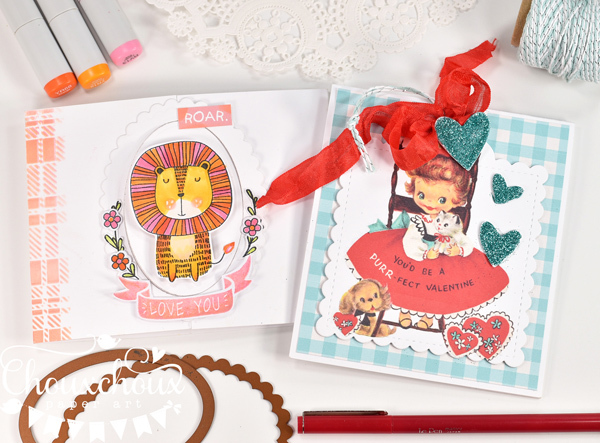 Adorable cards, I love that lion and the gatefold design! These are both so cute, Lori! 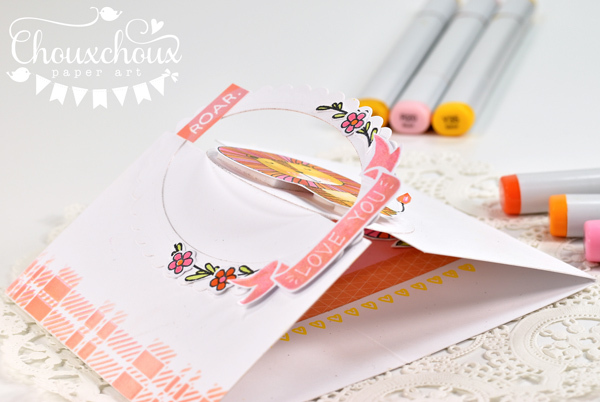 Gorgeous gatefold - I need to try this style! I really love the vintage card - thank you so much for the freebie! The lion is very CUTE and I love the colors you used to color him up and your digital girl image is adorable Lori! LOVE that Tag! I still need to use it.. it's on my list of dies to use along with the many others I haven't used yet! I'll get there for sure! :) Have a great day! Oh, that lion is so cute and colored with amazing color! Awesome gatefold card! 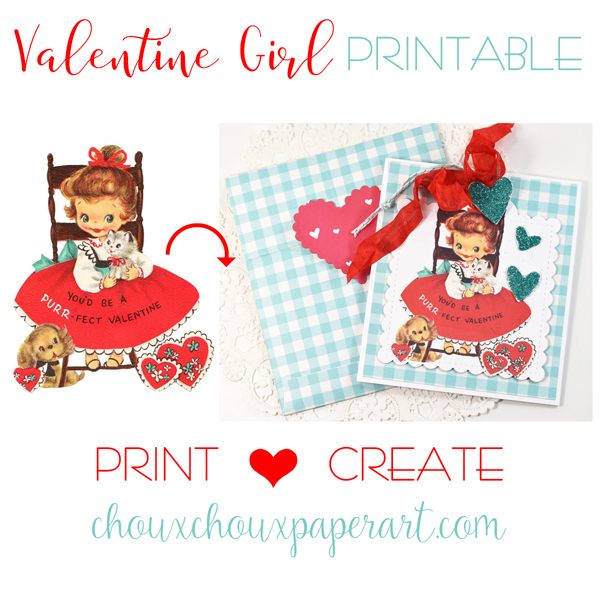 Sweet Valentine with girl image, too! I just love your gatefold and the neat way it closes. He is a cute lion and I like the way you dressed up the frame too! 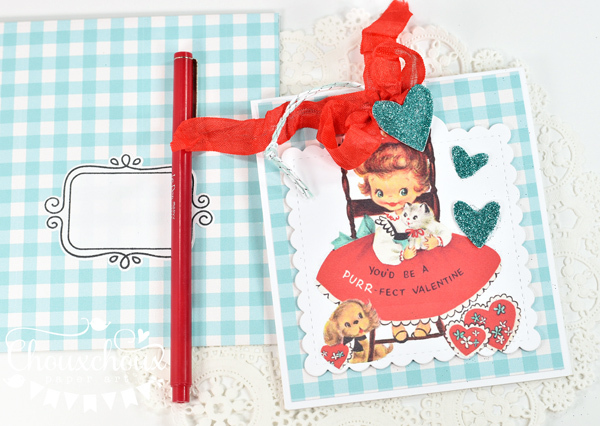 Love the sweet vintage card too with it's touch of sparkle! what a cute lion he is and I love the colours you have done him in. Great video. Thankyou for the inspiration. Hugs Mrs A. 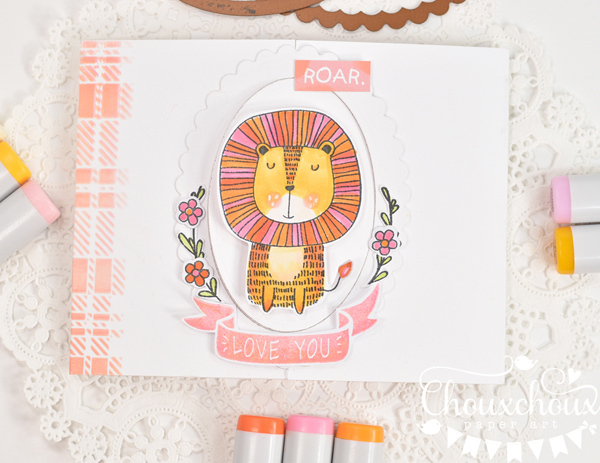 Two super cards Lori, I love your Lion and great colour choices. 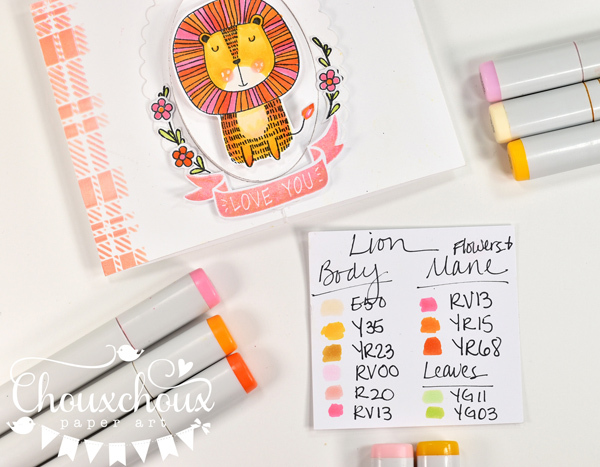 Oh wow--that lion is just too cute, your coloring is wonderful & that card is absolutely amazing, Lori!